Just because your period happens every month doesn't mean you always know what to expect. There's the cramps that come out of nowhere, the sometimes unpredictable start dates — and then there's the color of your actual period blood, which can sometimes throw you for a bit of a loop. I mean, sure, it's red, but is it the right red? 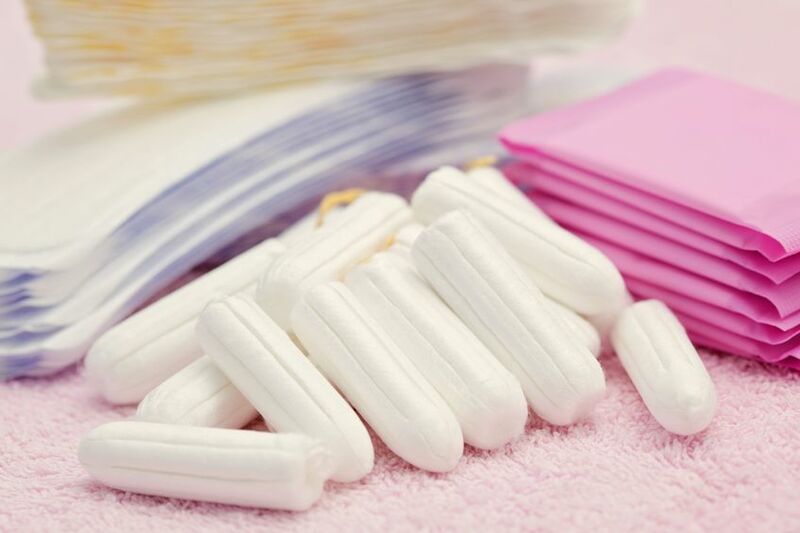 "Women tend to worry when their period isn't exactly the same as usual," says Raquel B. Dardik, MD, an ob/gyn at NYU Langone Medical Center, "but there's a large variety of what's normal." One thing that's almost always normal: Noticing that the color of your blood changes throughout the course of your period. That's because the most significant factor in the color of your period blood is the sheer quantity of it, Dr. Dardik explains. "If you just have a little bit of bleeding, it doesn’t come out right away," she says. That means it'll spend more time getting oxidized, which gives it a brownish hue. If you're on hormonal birth control, you may see lighter red or brown blood more often because your period is (in general) going to be lighter than those who aren't taking it. The consistency of your blood — specifically, the presence of any clots — may vary as well. When your uterine lining sheds, your body produces anticoagulant compounds that help break it up into an easily "passable" liquid form. But if your flow is moving quickly and heavily, those compounds don't always have enough time to work and you end up with a few dark, purplish-red jelly-like clots. Dime- or quarter-sized clots are totally normal, says Dr. Dardik, but anything bigger than that suggests you're losing a lot of blood very quickly, which is definitely not a good thing and means you should give your doctor a call. As mentioned above, brown blood is blood that's been sitting around long enough to oxidize. That means that, if you see a small amount of brownish blood at the beginning of your period, it's probably some leftover blood from last month that didn't make it out. If you see it at the end of your period, that's just because your flow is slowing down. "Day one and two blood tends to be bright red because it's coming right out and you see it right away," says Dr. Dardik. It's during these first few days that your flow tends to be heaviest and, therefore, this is also when you'll probably see the most clots. When your blood is a dark, rusty red color, you’re usually bleeding a moderate amount, but the blood hasn't had an opportunity to come out right away. For instance, you might notice this color when you first wake up in the morning because, when you're sleeping, you don't have gravity helping the blood out. "It condenses and congeals, and it comes out almost liver-colored," says Dr. Dardik. Your period should pretty much always be somewhere on this spectrum of red to brown. But if you see anything that looks more orange or gray, that could be a cause for concern. Sometimes these may indicate an infection, especially if you have other symptoms, including abdominal pain (that's not cramps), itching, or burning when you pee. So, if you're worried, it's always a good idea to check in with your gyno.